I have decided to take another break from my series about submitting in everything to write about something that is time sensitive. It is in regards to the upcoming Living Proof Live Simulcast that is scheduled for September 12, 2015. Beth Moore promises an audacious message. The theme for this year’s simulcast is connected to her new book Audacious. The following is from the FAQ on LifeWay Christian Resources’ website regarding Audacious. I discovered this information when I recently visited Mrs. Moore’s site, Living Proof Ministries. (It led me to LifeWay) I went there to look into registering for an individual pass to watch the simulcast from home like I did last year. After watching the simulcast back in September of 2014, I wrote a review. Unfortunately, my review wasn’t terribly favorable. I say unfortunately because it saddens me that a ministry that reaches so many women has some troubling issues. If you’d like to read last year’s review, here’s the link to part one. Beth Moore Simulcast Review Part One: General Observations There are also many helpful articles on the web documenting issues with Mrs. Moore’s ministry written by concerned Christians and ministries that you may wish to examine. I recommend looking into it if you haven’t already. When I watch the simulcast this year, I am hoping and praying that I will not see the same types of things that I saw last year including a heavier focus on women than on God, problems with Bible interpretation and verse usage, and emphasis on personal revelations. Knowing about these things, my discernment radar will be active. That does not mean that I won’t have an open mind. I will test things fairly using the Bible, sound interpretation practices, logic, and other objective standards. I invite you to do the same. I would love to see every woman who watches the simulcast do so with eyes umm, ears of discernment. That is a big part of why I have this ministry, to encourage my sisters in Christ to grow in discernment and to learn to test their teachers, preachers, and authors so that they may avoid following the wrong ones and regrettably miss out on any of the beauty and truth in God’s word. To that end, I would like to use this opportunity to do an exercise that can help increase discernment. Today we are going to do a pretest. It is a short investigation into the official, available material that we have about the simulcast. This is something we can do whenever we are heading to any Christian event. It can help us get an indication of the soundness of the message or teacher before we even show up. The process involves praying, reading, thinking, and looking for any red flags. 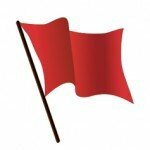 A red flag is a sort of alarm that warns you that there may be a problem. I performed my pretest when I was directed to LifeWay’s site after visiting Living Proof Ministries. While there, I discovered and reviewed text and videos connected to the simulcast. Eventually, I came across something that was worth reading very closely. 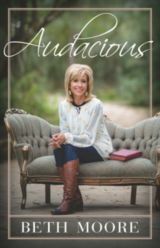 Beth’s new book, Audacious, is available exclusively to simulcast participants prior to its release. This is a description of the book Audacious. You can also see it on Amazon. Since we read above that it is connected to the message of the simulcast, it can help us assess the simulcast before we even begin to watch it. So, I’d like to ask you to do that. Do you find anything in this paragraph that you might consider a red flag? You might wish to read it a couple of times and look for anything that jumps out at you as a signal that something might not be quite right. Find anything? I’d like to share what I found. If you found these or any others, please share that in the comments. A good amount of this description is about Beth Moore’s ministry. I wonder how much of the simulcast will be spent discussing that. How much will be on God? Women are aching for something. I am a big fan of the word “some”. Whatever it is that was missing from Mrs. Moore’s vision, some women may be aching for it; but I can’t image that all are. This statement and the following description of what it is make it seem as if all women are missing something incredibly important. It also gives the impression that Mrs. Moore knows the hearts of all women. Broad statements like these do not foster credibility. Jesus is longing for something. I have several thoughts about this. I don’t have a lot to go on, but this seems to suggest that Jesus has a strong need or desire that is beyond his control to satisfy. On the surface, it appears to diminish Jesus, the sovereign Lord of the universe. For the sake of argument, let’s say he is longing for something. How did she learn about it? If it was through the Bible, how did she miss something that important in 30 years of Bible teaching? I could guess that she learned about his longing through personal revelation. Mrs. Moore is in the practice of claiming that she receives them, but I won’t make any conclusions based on red flags. I’ll just wait and watch. Additionally, since the description says Jesus is longing and women are aching for this incredibly important missing thing that is the path to the life we were born to live, I have to wonder if it is being implied that the missing thing is not only missing from her vision but also from the whole church. If Jesus is longing for it, does that mean he has not seen it anywhere else? And what of the women? They are aching for it. So are they not receiving it anywhere else in the church? Is this missing thing missing everywhere? I know the description doesn’t say that, but it’s hard not to read that as an implication. Mrs. Moore identified the missing link. It is not uncommon for individuals and groups that have messages that run contrary to sound teaching to claim that they have found something that was missing. New light is exciting and increases membership and sells books. Mrs. Moore identified it. Signing up for her simulcast and pre-ordering her book will put us in the position of being able to find out what it is. This automatically causes me to raise an eyebrow. Mrs. Moore spotlighted a turning point that can infuse any life with holy passion and purpose. This is an amazing statement. Taken literally, does a thing even exist that can infuse any life with holy passion and purpose? You might say conversion to Christ through the gospel. Then I would ask, is that really a turning point that needed spotlighting? Has the church not had the gospel for millennia? And I would also like to ask does the gospel even fit that claim? We know from Romans 9 that there are some vessels prepared for destruction. Since only believers could possibly have holy passion and purpose, how can the turning point infuse any life with them? Not all are saved. Not all will be. The claim about the turning point doesn’t appear to be a biblical statement. Again, I will hold off making any solid conclusions. There may be something I haven’t thought of that can make the claim true. The missing link is for all of us. This is not unlike the previous statement. Again. It’s pretty incredible. I’m guessing the purpose is to set up broad appeal. If I say every one of you can benefit from my message, then you are more likely to listen. More listeners mean a bigger audience and that translates into bigger sales. The missing link is the path to the life you were born to live. This is an incredible claim. Somehow Mrs. Moore has discovered the path that each and every one of us were born to live. Please think about that. The only thing that I can think of that could possibly be true for all people would be that we were born to glorify God and fulfill his purposes. But even how that plays out is different for everyone. And again, that is not missing, at least not from sound teaching and preaching ministries in the church. It did not need to be unearthed. It’s in the Bible and has been taught for centuries. So what else could it possibly be? I don’t know, and that is why this is a red flag. Incredible claims like this sound like snake oil sales pitches to me. I have seen too many groups and individuals make claims like this to take them seriously. They have the answer for you. The thing that will change your life. If they aren’t preaching the gospel (which isn’t missing), I ain’t buying. Whether or not these red flags are in fact flying correctly will be revealed during the simulcast. Until then, I will leave room for my own misunderstanding, incomplete explanations, or a bad choice of words on the part of the writer. I will hold off on any concrete conclusions until the simulcast. I pray everything goes well and there is nothing troubling to report. I hope this pretest provides some guidance as to what to be aware of if you watch the simulcast. These flags and past reviews of Mrs. Moore’s work done by me and many others strongly indicate a need for discernment. Being discerning is wise and biblical. (Philippians 1:9-10, Hebrews 5:14, 1 John 4:1) Testing the water like we did today is smart. There’s too much at stake to not do this type of work. If we don’t test our teachers, we could end up holding onto error unknowingly or accumulating an ever growing amount of error in our belief systems. That would be tragic. Should we not aim to have as much beautiful, biblical truth as possible? I pray our desire to know God and his word rightly would trump any aversion to testing our teachers, even ones we highly admire and have given time and money to. In my next post I will share a list of things to look for and consider when watching the simulcast beyond what we have looked at today. They are not unique to the simulcast. They can be used in any situation in which we are seeking to be discerning. It will in effect turn the simulcast into a class on discernment. I think it will be a great exercise. While it will help us evaluate the simulcast, I have a bigger goal in mind. I wish to help you develop and practice the skills needed to test any event or teacher, even your next Sunday service. I don’t think any sound biblical teacher would be opposed to such scrutiny. If you are not very aware or convinced of any problems with Beth Moore’s ministry, then I highly recommend you take the class while you watch. If there is nothing wrong, then that will become evident. If there is, may we respond appropriately, to the glory of God. Whether you read my next post or not, if you watch the simulcast, please pray for discernment, keep the Bible as your standard of truth, and think through everything that you hear. And please join me in praying for Mrs. Moore. #3 &7 were what came to my mind. Beth Moore reeks of gnosticism, just like many false teachers. They claim to have secret knowledge. Why more professing Christians don’t identify this common new testament topic, I don’t know. Having something new and exciting appeals to false converts who are not fulfilled by salvation in Christ, and have a religion of emotionalism. Sharon, your red flags are on point. I hope that she explains the vision she has for women. Because whatever vision we have for women must be in line with God’s vision. I also caught where she seems to draw a lot from life experiences. And if we are not careful, we’ll consume ourselves with experiences as to make our experiences theological. I will listen to see what Mrs. Moore says about her vision. Excellent point. I am curious about how the life experiences fit in with identifying the missing link. It will be interesting to find out how much emphasis is put on them. Right on, Sharon and Jennifer. I am disappointed to see that more Pastors are not raising eyebrows…and questions. Me too. I wonder how many pastors of the churches who are hosting and selling the new book during the simulcast visited LifeWay’s website and looked into what to expect. It is remarkable that she was able to identify a missing link that Jesus is some how longing for. That would be remarkable for anyone, even with 30 years experience! Thank you for the excellent warning, Sharon. I look forward to the follow-up! Brand new knowledge that has not come to light in 2000+ years. Hmm. I am so glad to see that mature Christians are putting Beth (and others like her) under the discernment microscope. This is so necessary right now. Thank you! Yes! I hope and pray to see discernment microscopes powering up all over. I am thankful to have found your website. I too, have been concerned about Beth Moore and her ministry for some time. A few years ago, after coming from an occult and then a charismatic background (after becoming a believer), I read a book with the title, The Beautiful Side of Evil by Johanna Michaelsen. She was deeply immersed in the occult early on in her Christian walk due to the lack of Bible study and solid discipleship and she has some eye-opening insights into the occult-like direction the church at large is taking. She has a couple of videos on YouTube worth watching. We also have to remember that the serpent came first to Eve in the Garden of Eden. So, keeping in mind that women including Christians are under heavy attack still to this day is crucial in understanding the deception we as women face. Yes, evil can be beautiful, seductive, popular but the end is destruction. We must be diligent and careful to examine all teaching in the light of Scripture for not to do so will be to our peril. Hi Jeanne, Welcome! Glad you found me. I am not familiar with Johanna Michaelsen. I will look her up. And yes, it is so important to test all teachings with the Bible. Even if we have listened to someone for a while, we still need to be discerning. I understand the need to be wise, discerning and cautious in what we receive. To be Berean in a practical sense. What I do not undetstand is publicly speaking or writing against another teacher of the Christian faith with whom you have not had a personal, private conversation and have no relationship with as is commended by Christ Himself in Matthew 18. I only write this to you whom I have no personal relationship because you so publicly have invited input through this platform. A critical review in this sense to me raises as many red flags as the ones you claim against Mrs. Moore. After all, it was the Pharisees who called Jesus a heretic because He ventured outside the realm of acceptible process and traditional religious conduct. You may feel free not to publish my comment as my only intent is to reach the author of the post. Hi Michelle, Thank you for your comment and concern. I have things set so that comments go straight through. Feel free to delete your comment later if you wish since you mentioned your only intent was to reach me. You raise an objection that I have seen in comments on other sites. It is something that I considered when I started this online ministry. Is it unloving or unbiblical to encourage discernment in my fellow sisters in Christ when it comes to teachers in the church even if that means being specific in my examples? I have found no verse that prohibits it and have plenty of reason to believe it is appropriate. I write out of love for them and the scriptures. I want them to have the best teachers possible and the greatest amount of God’s truth as possible. As to Matthew 18:15-17, that is a reference to sin. I agree we should follow that mandate when such a thing occurs. But that is not what I am writing about. I am making no judgment about the personal sinfulness of Mrs. Moore. I am inviting a thoughtful evaluation of a public description of a book. This is about being discerning with what we read and hear not about pointing out personal sin. Excellent clarification on Michelle’s post. It’s hard to open your eyes to discernment when you have embraced a person or practice. I spent over 15 years as a charismatic Christian, believing strongly in most every aspect. My eyes were opened to a clearer understanding of scripture (via John McArthur, etc.) and I let go of those ideas. Very freeing to be willing to recognize error, and still love and pray for the people who haven’t. Thank you, Amanda. I’m grateful for the opportunity to clarify things. Yes, it can be hard to have discernment when we have embraced a person or practice. There is a lot invested and a genuine belief that we are on the right track. But I pray we may all start or never stop embracing the desire for a right understanding about God and his word more than we embrace any person, practice, or even our own beliefs. That will drive us onto sound doctrine and true knowledge. Thank you for sharing some of your experience with such things. Sharon, I am thankful that Christians are being discerning and are using scripture to compare what Beth Moore and false teachers are teaching. I am thankful that Christians like yourself are warning other Christians to beware. What I don’t understand though is telling Christians to listen to someone who is obviously in error, like Beth Moore. It isn’t like we’re unsure whether Beth is in error. She has been around for 20+ years. Several discernment ministries have spent hours in research and have put their detailed findings/reviews on websites over the last few years in particular. Isn’t that enough? I’m not saying we shouldn’t continue to warn, but I would never personally encourage anyone to listen to a false teacher. In fact, I would warn them not to. To be fair, it is not just you and this issue with Beth Moore. I’ve seen this on many sites where the discernment teacher has a program where they can play someone like Beth speaking and then comment on it. There is one in particular I’m thinking of whose entire one hour show is often nothing but excerpts and sermons from false teachers and this person commenting on them. I just don’t understand this. Why give a platform to error? Error is to be called out, scripture is to be brought to bear on it, and people are to be warned to run from these false teachers. There are those who may be very mature spiritually and can do this research, but to tell any random Christian you meet to listen to a false teacher is extremely unwise. John, Peter and Jude in their epistles all warn of false teachers and teachings, but none of them says to go and have a listen. False teachers are able to gain a following because they entice and bewitch people. Some people love error and seek it, but some are naïve and untaught and have no business listening to false teachers. False teachers are dangerous and their teachings are damning. They are spiritual poison and we need to warn people NOT to take them in. Hi Jan, Thank you for commenting and sharing your concern. I understand what you’re saying. In rereading my post above, I can see how you could get the impression that I was inviting women to watch the simulcast; but that is not actually the case. When I was writing, I had in mind women who were already planning on watching. That is why I wrote that I would love to see every woman who watches the simulcast do so with discernment. I see it would’ve been clearer if I had written “who plans on watching”. To encourage them to watch with discernment, I shared the description of the book Audacious so that we could evaluate it together before the simulcast. Doing this ahead of time can help prepare women to be more discerning when they watch. In the beginning of my next post, which I am working on now, I invite women who are already planning on watching to join me in turning the simulcast into a class on discernment. It is my hope and prayer that watching that way would be far better than simply watching. My motivation in all this is to increase awareness of the need to be discerning and to teach how to be so. I am a big believer in the “teach a man to fish” philosophy. You are right. There are some Christian women who are untaught, and that weighs heavy on my heart. I believe I must do everything I can to help. I believe the untaught can become informed and equipped. One of my approaches to teach discernment does involve looking at the material of questionable/bad teachers. I believe it’s hard to know what’s wrong if you don’t look. When I present it, I do so carefully and with solid biblical responses to it. Learning to see error for what it is helps us spot it the next time and makes us stronger in our own beliefs. I learned a ton about my own Christian faith when out of concern for family members, I studied the teachings of the Watchtower Society. Additionally, many people need convincing that there is a problem. Simply warning might work in some cases (though I’d always rather ladies check things out for themselves); but in others, I need to present evidence. That means laying out the false teaching and contrasting it with the Bible. Even with evidence, it is hard for some people to see. That is why all my work is completely reliant on the power of the Holy Spirit to move people to the awareness of error. As to the continuation of shedding light on issues with Beth Moore’s ministry, unfortunately I don’t think enough work has been done yet. Last year, simulcast viewers were told that 190,000 women were participating. If you click the link above in my response to Chris, you will see how many churches have signed up this year. There is much more work to be done. Lastly, I don’t believe 2 John 1:10-11 applies here. 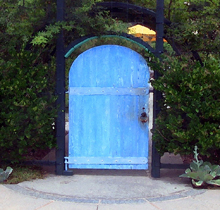 Discernment ministries do not connect with false teachers in a way that could be construed as acceptance. They do the exact opposite and reveal their errors. I believe the intent here, as with others like Chris Rosebrough and Todd Friel, is to help listeners to understand WHY the teacher/pastor/sermongiver is going in the wrong direction. The context of the broadcast or blog is to put a spotlight on the false teaching, then explain why it’s false. I find this very helpful myself, in the world we live in where so many voices are clamoring for our attention. Thanks for asking women to be more discerning…it is needed as women are more susceptible to being deceived (read carefully 1 Tim 2:11-15; 2 Cor 11:1-4) than men; men more susceptible to arrogance than humility (well documented in Scripture…pick almost any man but Christ). These celebrity teachers of apostasy parade as children of light, but are full of darkness and have been deceived by the world that bigger is better. They are coached extremely well concerning marketing to intended audiences. One of the classic marketing techniques is to tell your audience they need something whether they do or do not. Put the weight of God behind it and it would appear you can’t lose. Unfortunately, all who are ascribing to these teachings are losing their soul (not salvation if they are saved) vs finding a local pastor who knows and studies and develops their messages from the original languages and can shepherd them directly. With the internet, there has never been a time in history where accurate bible teaching was more available; AND, more eschewed. Sharon, thanks for your gracious reply. Again, the issue here is Beth Moore. Is she or is she not a false teacher? We really don’t need to watch or listen, do we? None of us. Why subject ourselves to error? What if you do watch and she goes even further in error than she has in the past? Then you have purposefully subjected yourself to error, and have not warned others to avoid her. Error is dangerous, Sharon. The title Audacious certainly is a red-flag in and of itself and leads one to believe that Beth is indeed going even further toward what is false rather than the truth as it is in Christ Jesus. A wiser course might be to explain why you won’t watch and warn others not to? Do we really have to go down into the sewer to find out if it stinks and is filthy? I think that one problem that we face is that of pride. Even as Christians, we don’t want to submit to others. If a discerning and wise Christian tells us that we ought to avoid such and such teacher or teachings, we don’t believe them. We think we are independent and we can live and do as we like. We really aren’t like the New testament calls us to be, submitting to one another in the fear of Christ. Ephesians 5:21 We are supposed to listen to those who are wiser and more biblically literate than we are. In order to believe a fellow Christian’s warning we shouldn’t need pages and pages of examples and have to watch hours of video footage on most false teachers in order to believe they are false. In some cases, I grant you, it is much more difficult to sort out the error. But with Beth Moore in particular this is not the case as has already been amply proven by several discernment ministries over the years. All the discerning, biblical Christian can do is issue the warning or the advice and then let the Holy Spirit work in their heart. If they choose to go on to watch and listen then at least you have done what you could. I don’t know if one can teach discernment. It is partly a spiritual gift, I believe. It is also the fruit of a Bible saturated life. One who is well acquainted with truth can often spot error a mile away. We often bemoan the fact that Christians don’t know their Bibles. What if we encouraged them to spend the time they would have spent with Beth to read the scriptures instead? Hi Jan, I see we have different ideas about how to proceed, but I do understand your concerns. If you come by in a few days and read my next post on this matter you will read about the importance of the Bible in discernment. There will be encouragement to read it and use it in the process of confirming truth and detecting error. It is one aspect of discernment that I will break down along with prayer and reliance on the Holy Spirit. I believe discernment is partially supernatural as we are helped by the Holy Spirit in this work, but it is also partially a natural skill and responsibility that can be learned and improved upon. For the ladies who are going, who have not yet heard or are not convinced of the problems with Beth Moore’s ministry, ladies who are watching because they want to, I will do my best to help them grow in the skill area. My bigger goal here is to equip them to grow in discernment under all teachers, not simply during the simulcast. If you would like to discuss this further, please visit my contact page. This way we can keep the majority of this tread focused on the main topic. Thank you. It seems to me that most women who hear anything negative about Beth Moore, or any other favorite celebrity, (Bob Jones, Oral Roberts, Rick Warren, Mark Driscoll, Benny Hinn….etc.) won’t believe the messenger immediately. Most of us want to see for ourselves. We want to be certain that if we go against the crowds, we have a really solid reason for doing so. We could take Sharon’s word for it, but clearly, there are many who are still not quite convinced. If learning how to be discerning, which does take a little bit of training for most, helps, then I think it’s a good thing. It has really helped me to read up on some of these people to understand the need to reject them, and that I am not rejecting, what I used to see as, truth. Sometimes I just can’t believe the reports, thinking that someone could be misinterpreting, or exaggerating what a celebrity leader is saying. I need to see the actual clip. Some may still think they need to sit through a simulcast. They are just not convinced, because after all, she’s SO popular, and everybody’s attending. HOW could she possibly be in error when so many mainline churches accept her teachings? I’m actually grateful that Sharon, and others, are laboring so intently to make sure that their evaluations are biblically accurate as they comment on what is being taught. Thanks Sharon, for your labor of love, and gracious responses. Jan, you are TOTALLY correct. And this leads me back to the need for sound discernment ministries. Let me give you one personal example. We visited an out-of-state church last summer, which looked to be very sound in its beliefs and doctrines. Its pastor delivered an excellent sermon that was Biblically based. I decided if I lived in this city, I would attend this church! And then I read their bulletin and discovered that their women’s ministry was about to begin a Beth Moore study a few weeks on. I decided to write the pastor a note and ask why such an excellent place would allow this women’s study. He graciously replied, saying that Lifeway endorsed her, and that he really hadn’t felt the need to delve into her materials. But he said he would take the matter under consideration. Months later, I was curious, and visited this church’s website. The Beth Moore study was still being advertised. So what do you do with that? I do believe this pastor is wiser and more Biblically literate than I am, yet he allows this study. That’s why I think discernment ministries that put the emphasis on dissecting popular teachers are vital right now. Did any of the commenters watch the simulcast?